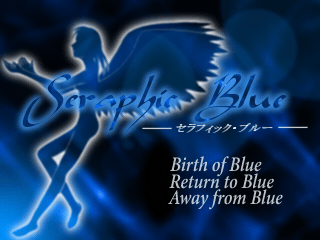 Seraphic Blue (セラフィックブルー) is a 50+ hour epic RPG made by Tempura in RPG Maker 2000 v1.51, and is highly-received in the Japanese RPG Maker community, most notably for its story. It has 2 versions: the original (made in 2004) and Director's Cut (made in 2006). The version translated here is Director's Cut. Do also check out the list of Seraphic Blue OSTs (started by Ryan91487). A sample OST can be listened to below. And for the curious, here's the TVTropes page of Seraphic Blue. 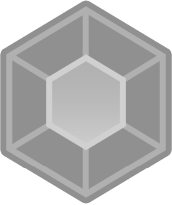 Also, a special wikia page of the main villain of this game: http://villains.wikia.com/wiki/Er courtesy of Ryan91487. WARNING: Do not read this if you don't want to be spoiled of the game. Lastly, check out my alternative site for my translated games here (http://eplipswich.tumblr.com). I wanted to keep the "Blue" part, so only the 1st two options have been revised. Let me know what you all think if you will, but I think I'm pretty satisfied with this version and if nothing else, I will put this as the new title screen for this game. I will watch with great interest! Up to the forest dungeon now. Seems like it's really spiked in difficulty. Maybe it's time to check out those elemental spheres? Could you make a version that doesn't need the RTP? The RTP can't install on Windows 7, so I can't play this. I believe I've added all the necessary RTP files within the download, so let me know if you can play it. If the game still does inform you to require RTP, then all right I'll upload another version with all RTP files included. You know, there seems to be a really strong Soul Hackers influence in the game's UI and setting. yes! im downloading this 100+ mb beast right now. Just doing grinding at the moment. I was very surprised to hear Seraphic Blue will be translated! BTW, I've played the original version before and I found mistakes in your translation. I'll check more closely. The game must be reallllllllllllllllllly long! I can tell because it takes in till 2012 to translate and I heard it takes 50 hours to beat this game! Thanks for translating because I really want to play this game to see what's going on! Have you posted this somewhere else? Since this place seems to be shutting down now. Please have another place, I really want to play this game all translated so badly. Yeah, no worries, mate. I'm working on it and will post a link soon (to my self-created blog, I suppose). But I won't make my (final?) blog post here so soon just yet. I don't wanna go melodramatic yet. Not until the inevitable becomes inevitable. I will make the necessary arrangements though. The closing of RMN ain't gonna stop me from finishing the translation.